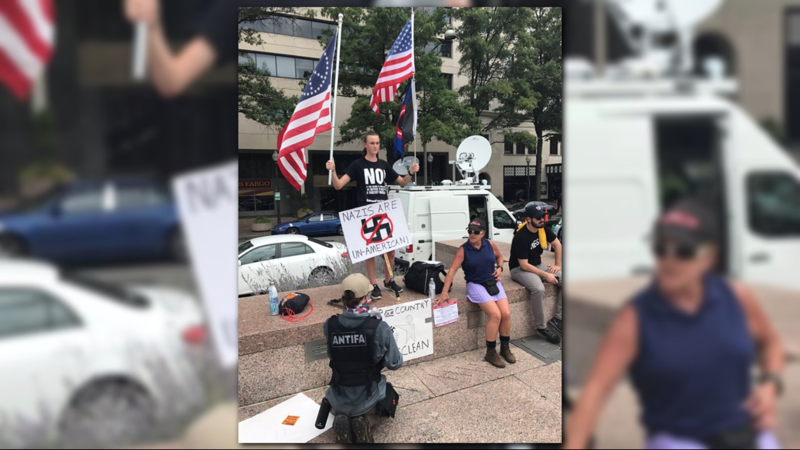 One year after a deadly white nationalist rally in Charlottesville, Virginia, activists returned to mark the anniversary of the protest. 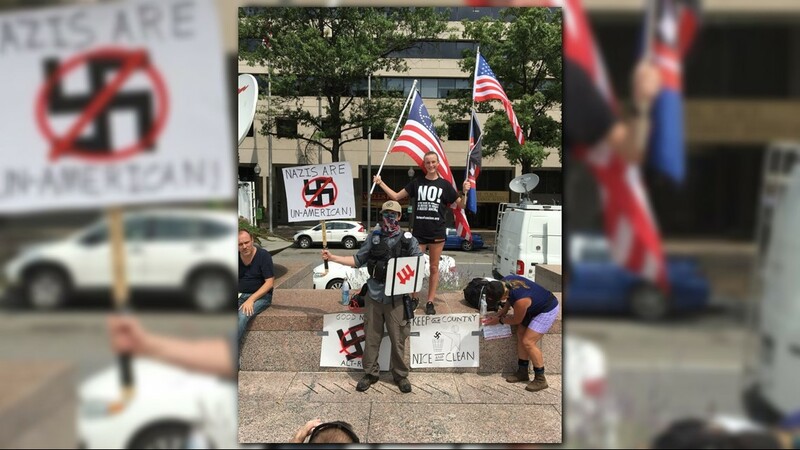 CHARLOTTESVILLE, Va. — Activists honored the victims of last year's violent clashes with white nationalists and denounced racial bigotry on Sunday, but the all-day demonstrations still resulted in a few tense moments and four arrests. 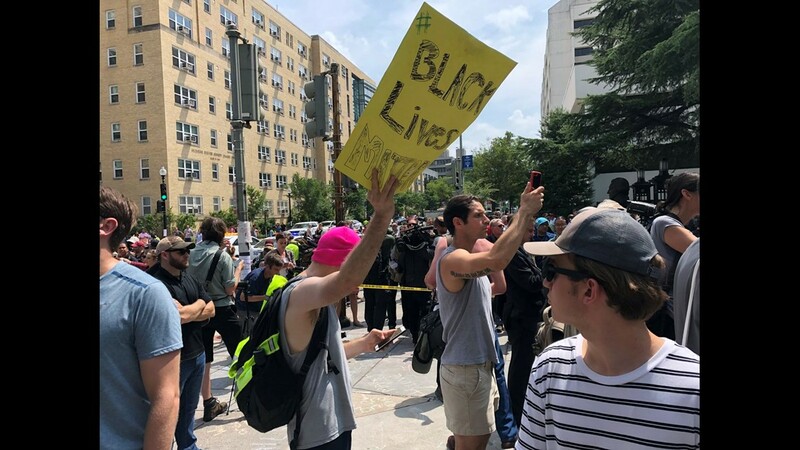 The chanting, gathering and mourning lasted from morning to late afternoon, when local police took down their checkpoints and a few hundred activists, University of Virginia students and residents dispersed from downtown Charlottesville. 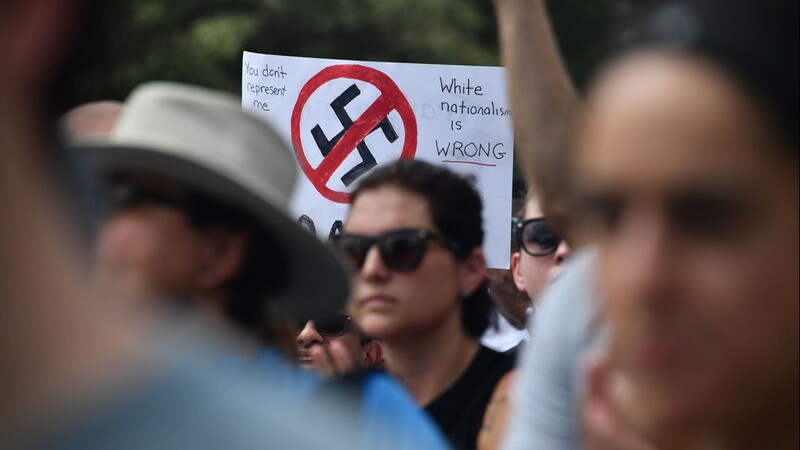 A year ago, violent clashes between counterprotesters and white nationalists led to injuries and a death, making the college town synonymous with racial unrest and amplifying the message of white nationalists. 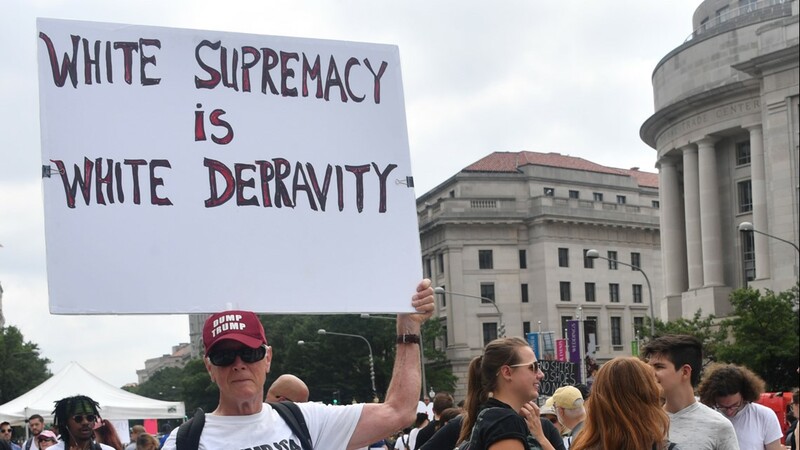 This year, the activist's recurring message was that white supremacy has existed in the community for years – and it can't be ignored. 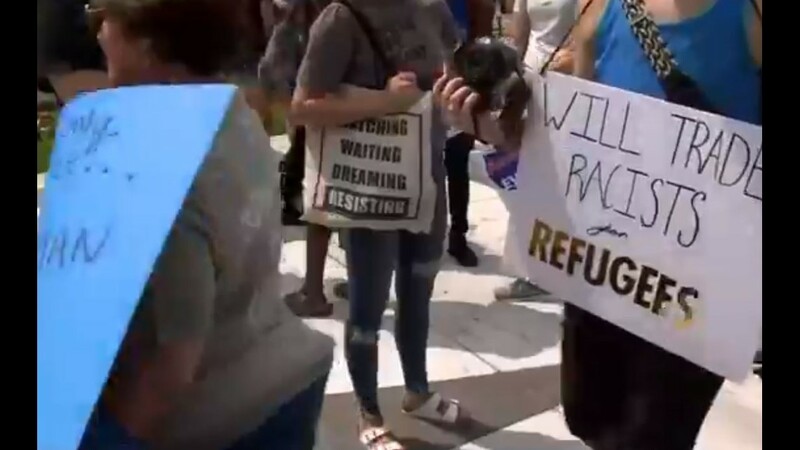 The crowd converged on Booker T. Washington Park to mark the first anniversary of the deadly Unite the Right rally last year. 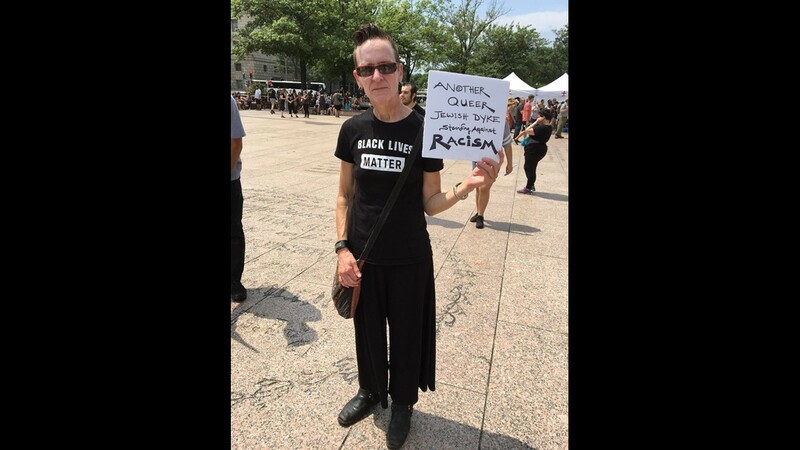 Sporting shirts and signs that read "Black Lives Matter" and "C'ville Fights Back." They listened to speakers and chanted "Old Jim Crow, new Jim Crow, this racist system's got to go." 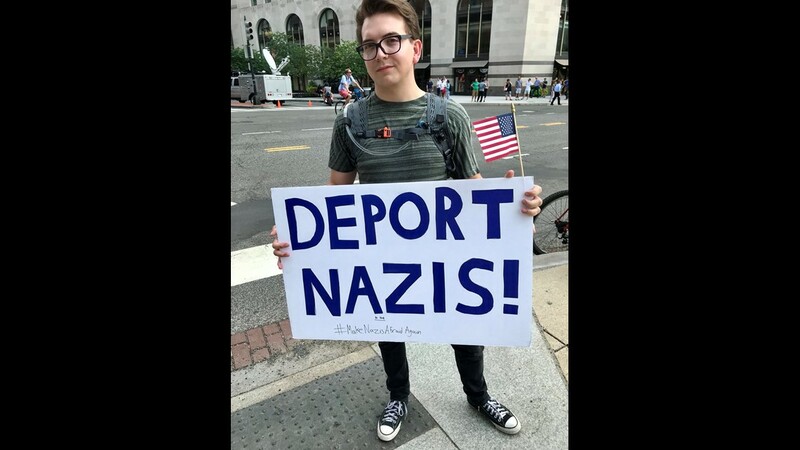 "White supremacy doesn't just look like Nazis walking through the streets," said rally participant Grace Aheron, 27. Don Gathers, a member of the local Black Lives Matter Movement, told the crowd oppression and racism must be defeated – and the city must be held accountable. Throughout the day, police stayed out of the park, remaining on the road outside. Some of the protesters burned sage to dispel negativity, a sharp contrast to last year's torch-burning march of white supremacists. But a heavy police presence frustrated the activists, who called it an overcompensation for last year's events. Police brought armored vehicles, riot gear and set up two downtown checkpoints where people were subject to bag checks. Authorities also blocked traffic. 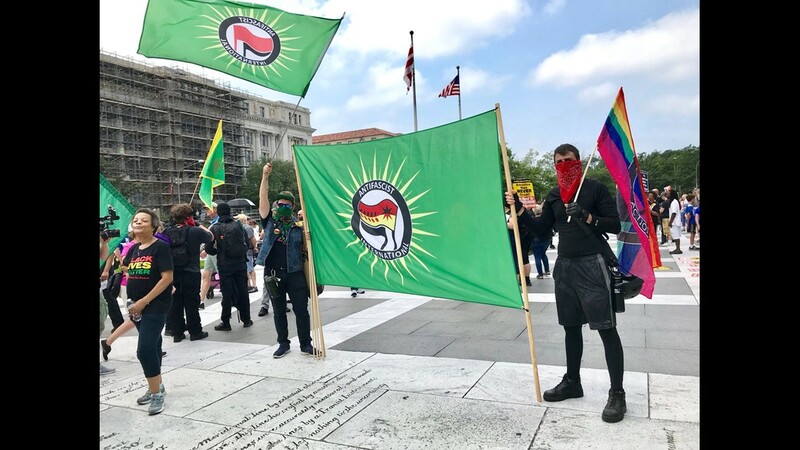 The Virginia State Police arrested four people, including one who spit in a demonstrator's face and two others who started fighting after one of them saluted the statue of Robert E. Lee, the subject of last year's Unite the Right rally. 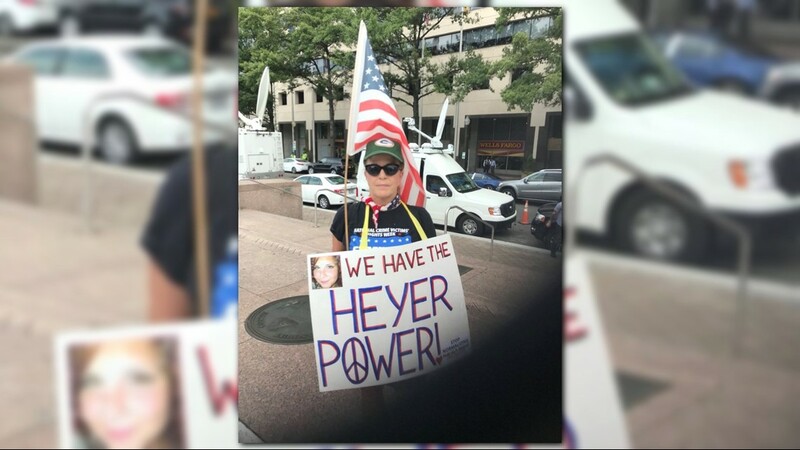 The 2017 rally ended in tragedy when a car slammed into a group of counterprotesters, killing demonstrator Heather Heyer, 32, and injuring many more. 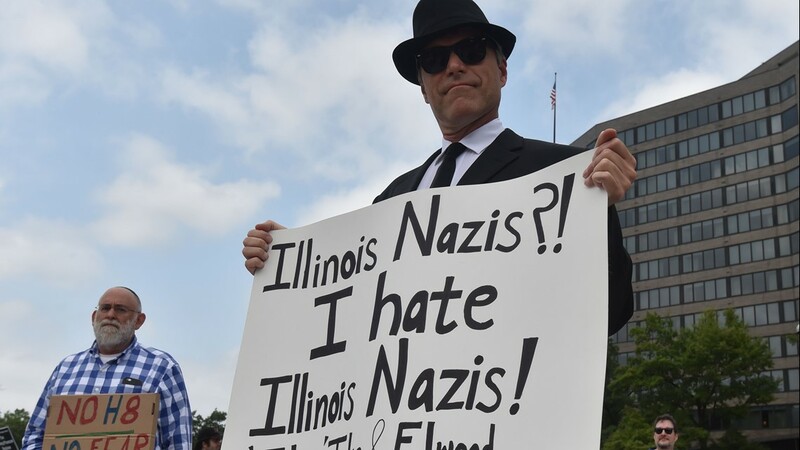 A white supremacist awaits trial in the case. Later in the day, Heyer's mother, Susan Bro, spoke to a solemn crowd during a vigil for her daughter. "There are mothers who lose their children all the time. 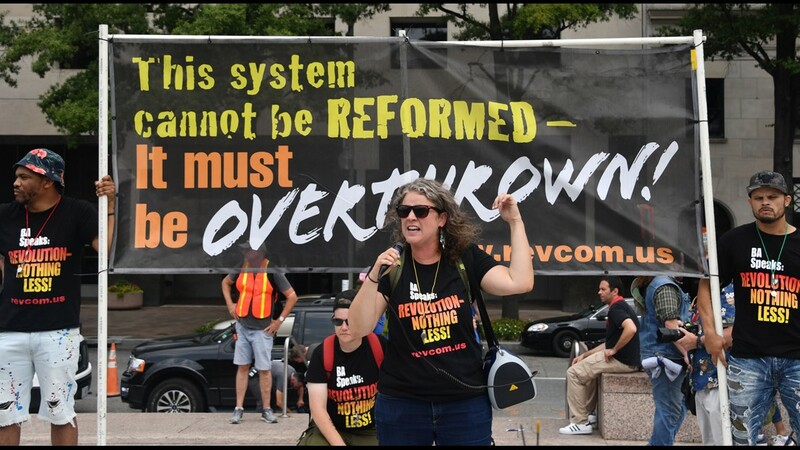 And we don't seem to give a damn," she said, adding, "we have a long way to go" in terms of racial justice. 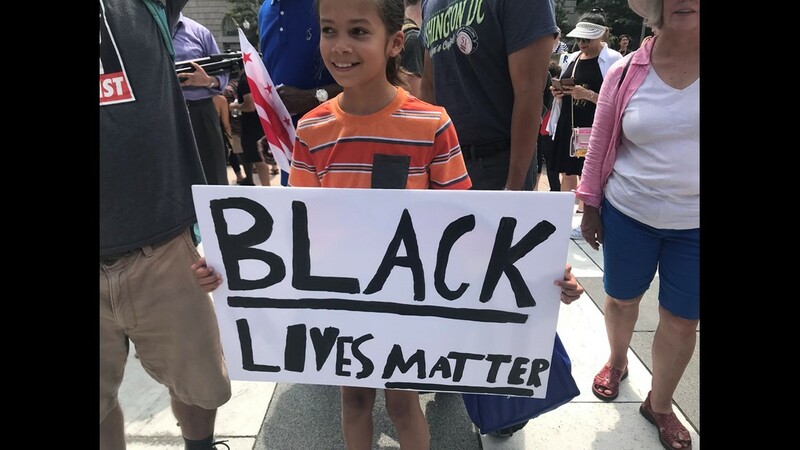 Bro, channeling her daughter's activism, said the gathering in Charlottesville is part of the larger fight against racial injustice. "It was never all about Heather," she said. Community and clergy members locked arms around Bro and other mourners to give them privacy as they reflected at a memorial in Heyer's honor. 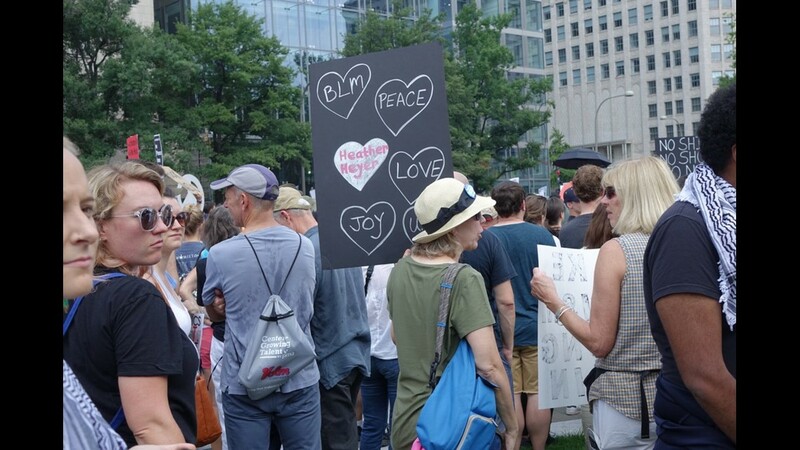 Flowers and messages of support written in chalk for the Charlottesville community lined the sidewalks and walls. 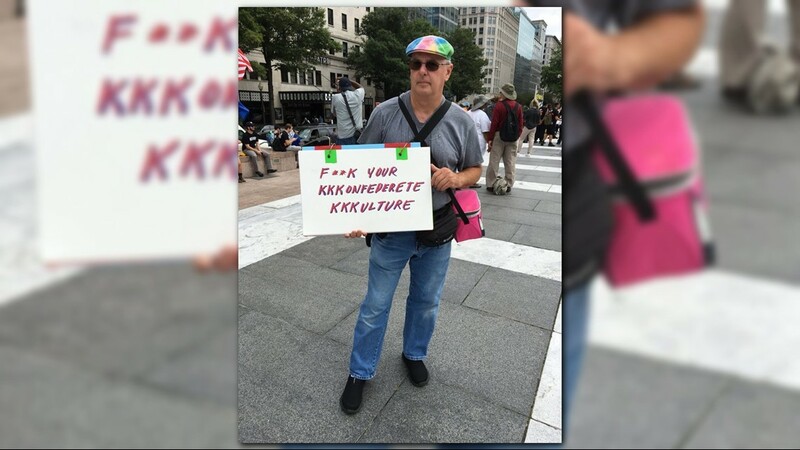 Douglas Brown of Newport News, Va., attended last year’s counterprotests and said he wasn’t going to miss today’s one-year anniversary. “I owed it to Heather,” Brown said. Katrina Turner was at the rally last year and was almost hit by the car herself. "We also need to think of the other victims on that day," she told the crowd. "We cannot let them be forgotten." Brown was just happy the tense moments Sunday didn't escalate but said Heyer was still on the forefront of his mind. Counter-protesters waiting for white nationalists at Foggy Bottom-GWU station. Many taking part in #ShutItDownDC say they are here to rally for love. 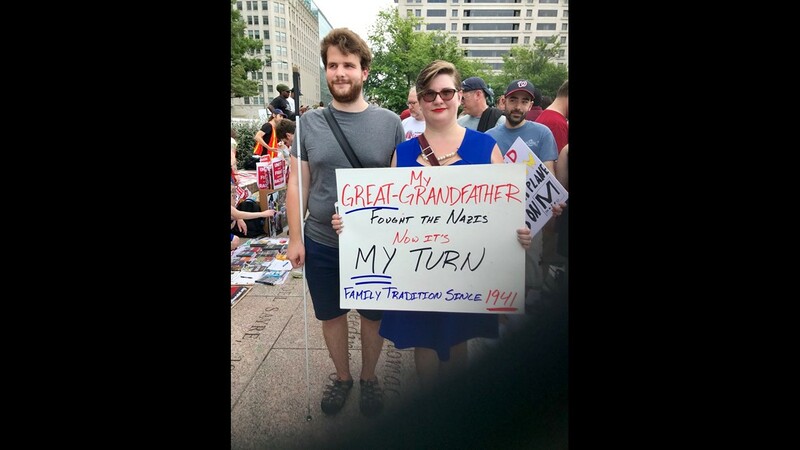 These two from Maryland say they are proud to be a part of this demonstration. 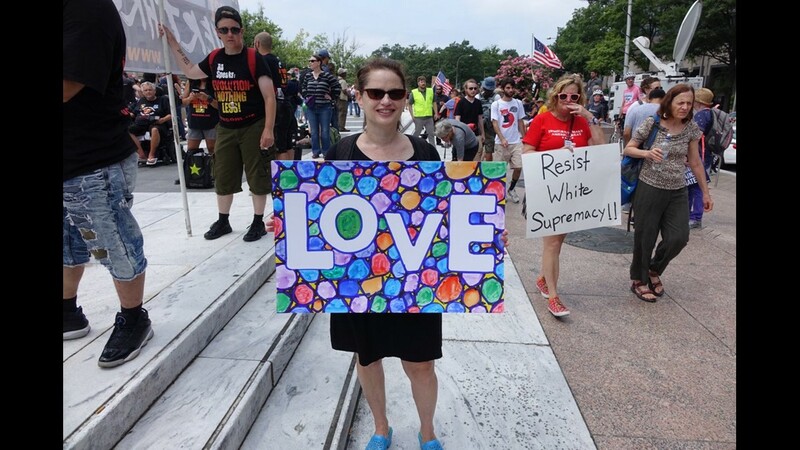 Susan from DC says "if they are here to rally for hate, we are here to rally for love." 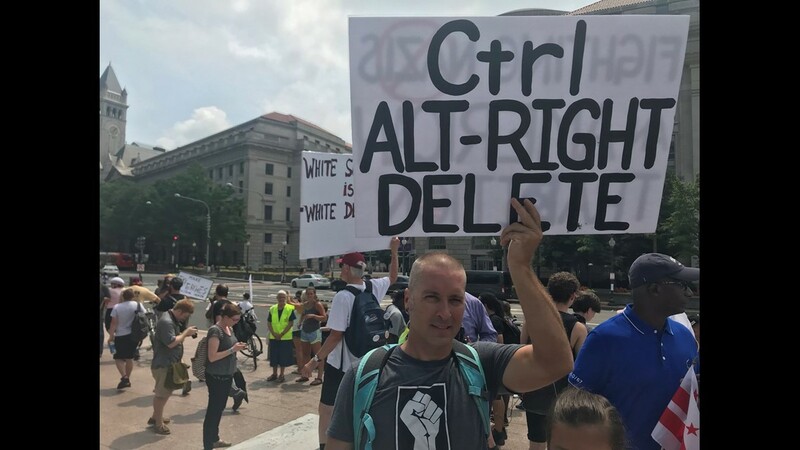 Demonstrators opposed to a far-right rally being held near the White House gather August 12, 2018 in Washington, DC, one year after deadly violence at a similar protest in Charlottesville, Virginia. 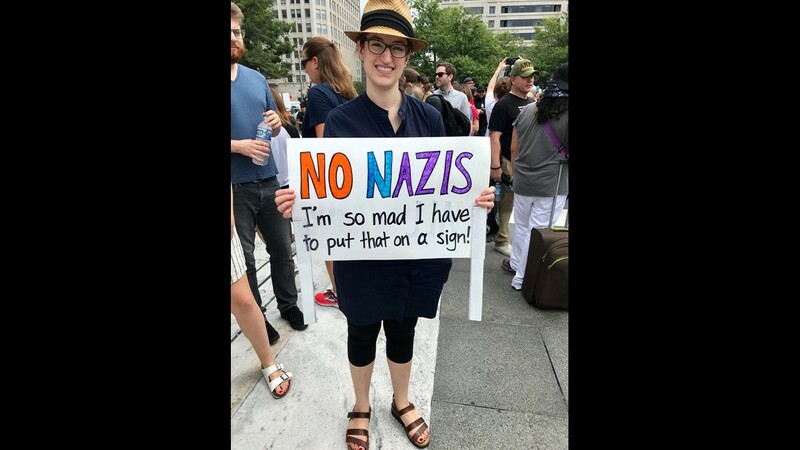 Demonstrators opposed to a far-right rally to be held near the White House gather August 12, 2018 in Washington, DC, one year after deadly violence at a similar protest in Charlottesville, Virginia. This is Jonathan from DC. 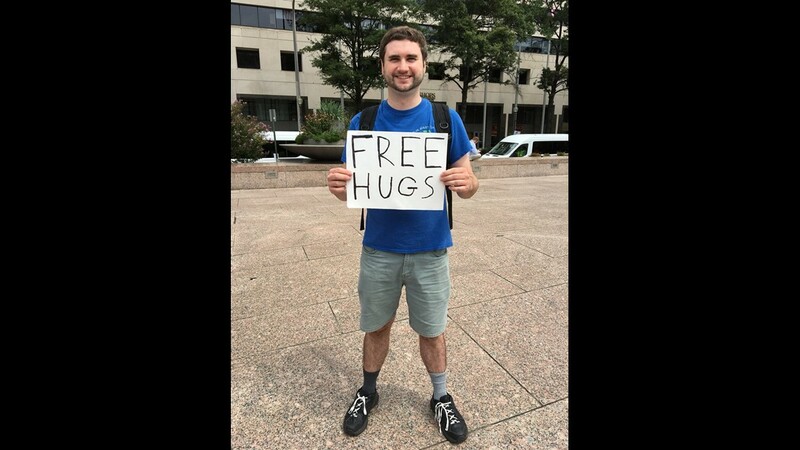 He's already had a few dozen takers. Said he wants to bring positivity to this divisive day. 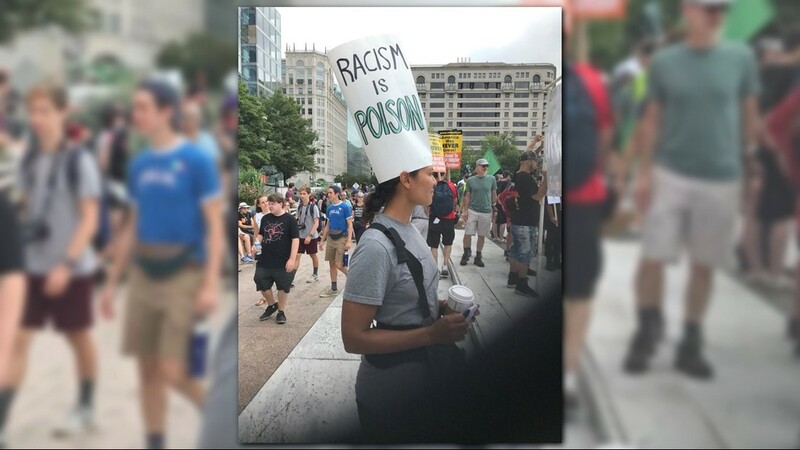 Rebecca from DC felt compelled to be here to &ldquo;stand up and say this is not except a bowl to have white supremacist in our city and our country. 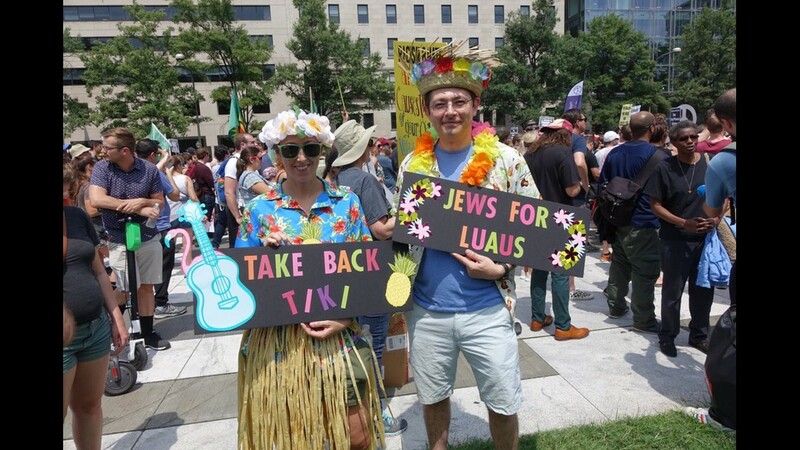 Alan of Springfield, Virginia says he's here to demonstrate against anti-Semitism, homophobia, and anyone who is anti-immigrant. 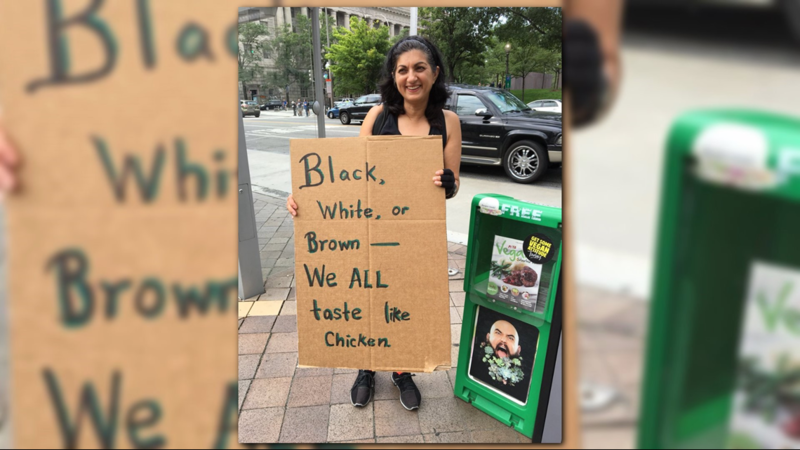 Alka of DC message during Unite the Right counter-protests in D.C.